Topics discussed at the event included best practices for the supply chain, market challenges and reefer capacity. Networking opportunities and match making sessions between exporters and buyers were also organized. Tours were provided of the ports terminals and third-party warehouses with perishable-related operations. The U.S. Customs and Border Protection, the U.S. Department of Agriculture and the Food and Drug Administration highlighted best practices for importing perishables, food safety regulations, cold treatment programs as well as other customs exams processes. 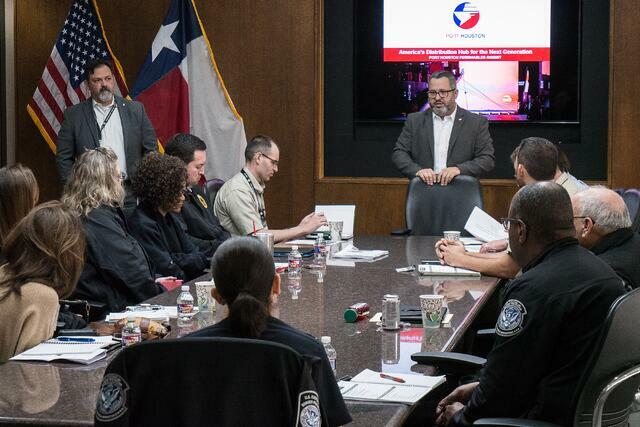 The two-day event, which included tours of some of Houston’s refrigerated warehouses and port facilities, was developed to improve communication between all stakeholders of Port Houston's perishable community. The inaugural event featured a diverse group of Latin American produce export trade organizations and U.S. produce buyers.